The 12 startups of Techstars NYC‘s latest class are taking over tonight’s NY Tech Meetup. CottageClass is a marketplace connecting parents with teachers of “microschools” — basically, cooperative homeschooling programs. CEO Manisha Snoyer used to work as a teacher, and she sees this approach as an alternative to the “increasingly inflexible, crowded” public school system. And the company says it’s already serving 455 families. Gather offers a self-serve platform to help companies manage data from fragmented sources. The idea is that businesses should be able to build out their data infrastructure without hiring an enormous team of data engineers. Geopipe builds 3D models of the real world. Chief Science Officer Thomas Dickerson said the technology was originally built for gaming, but Geopipe is now focused on architecture as its first market. Apparently, the startup’s models allow you to do things that you couldn’t accomplish with texture mapping, for example adjusting the lighting to represent different times of day. Hawthorne is creating personalized cologne, with plans to expand to other personal care products. Matchaful supplies organic matcha and matcha-making equipment to cafes, offices and directly to consumers. 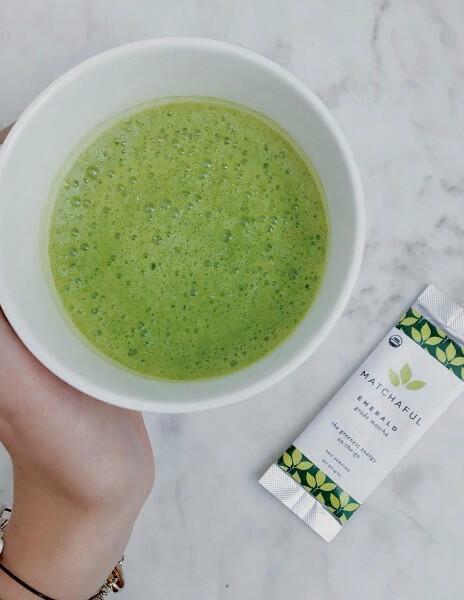 CEO Hannah Habes told me she joined Techstars because she wanted to explore ways to improve people’s experience of matcha, first with education and content, and eventually, with new devices. Obsess is creating virtual reality experiences for retailers, starting with Vera Bradley. CEO Neha Singh argued that as physical retail struggles to evolve, VR offers businesses a way to extend their stores. Through Obsess, they can create displays and showing off inventory that they don’t have room for in the store itself. And of course, customers can make purchases from within the VR experience. Parakeet has built a cloud phone system that integrates with other tools like Shopify and Magento. CEO Colin Morelli recalled building an automated chatbot at a hackathon and realizing that there was no easy way to connect it to existing phone systems. So the goal to make phone systems adaptable and extensible through APIs. Phonewagon offers call tracking software to help businesses determine when phone calls are driven by specific marketing campaigns. SVRF is a search engine for immersive, 360-degree content. The goal is to make it easier to find VR and AR content. CEO Sophia Dominguez said SVRF currently crawls a specific list of websites, but it’s also adding a button for users to submit their own content. And there’s some unique content, too — this literally indescribable experience, for example, was inspired by Vitalik Buterin’s amazing T-shirt at Disrupt. TypeLead is developing Eta, a programming language for enterprise applications. (CEO Jyothsna Patnam described it as “Haskell ported to a Java Virtual Machine.”) Eta is an open source language with 20,000 active developers, but TypeLead plans to add commercial products and services over time. Virgo offers video recording for colonoscopies. CEO Matt Schwartz said that while most colonoscopies usually aren’t currently recorded (aside from a handful of still images), the video can reveal important details. Over time, He hopes to add more automation to help the with the diagnosis. Vitally is an analytics product for B2B businesses. CEO Jamie Davidson said that most analytics products are designed for consumer-facing companies, so they’re focused on a different set of metrics — namely, how consumers interact with your websites or app. Vitally, on the other hand, measures a business’ relationship with each customer and how that’s driving revenue.